Former cricketer Ravindra Jadeja’s Wife Rivaba has joined BJP in the presence of MP Poonamben Maadam on March 3rd. 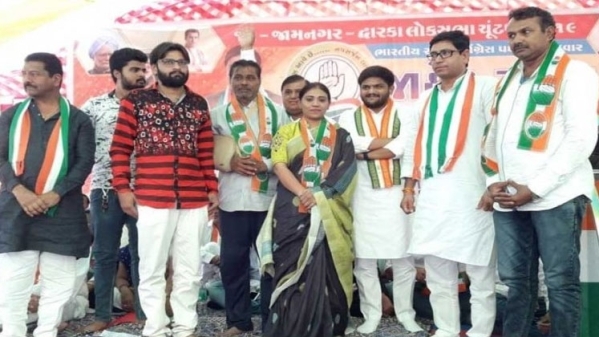 Jadeja’s father, sister has joined Congress on 14th of April as a rally was organised at Kalavad city of Jamnagar district. Jadeja was born in Jamnagar while his family members have branched into BJP and Congress Party. Hardik Patel was to contest from the Congress Gujarat in Jamnagar but the Supreme Court has rejected his plea on 2nd April 2019 to be in jail for two years.